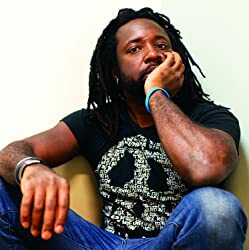 Marlon James is a Jamaican-born writer. He has published three novels: John Crow’s Devil (2005), The Book of Night Women (2009) and A Brief History of Seven Killings (2014), winner of the 2015 Man Booker Prize. Now living in Minneapolis, James teaches literature at Macalester College in St. Paul, Minnesota. CLICK HERE FOR MORE STORIES BY MARLON JAMES. 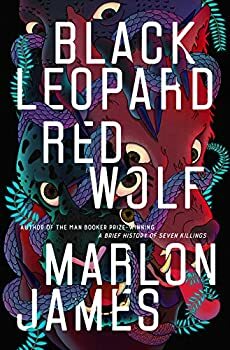 Thus opens Marlon James' highly anticipated Black Leopard, Red Wolf (2019) in a frenetic, dizzying tale of Tracker, the hunter tasked with finding a child at the centre of this fantasy steeped in African mythology. The story opens with Tracker being interrogated by the Inquisitor in a grimy prison cell. “Truth eats lies just as the crocodile eats the moon,” he says, and it soon becomes apparent that this will not be the kind of fantasy epic fans of the genre are used to. Drawing on the oral tradition, James weaves tale upon tale, building up a highly complex narrative in which the truth is blurred in a surreal world rooted in Africa's cultural history.